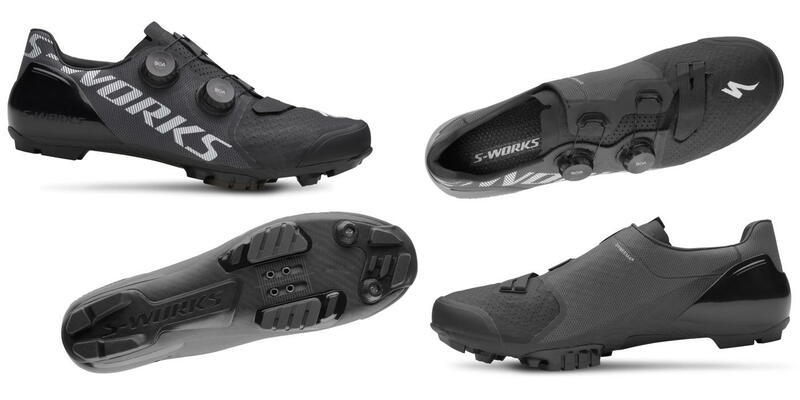 The new S-Works Recon shoes look like a perfect choice for fast gravel rides, especially those that mix on and off-road sections. Super-stiff carbon sole with aggressive lugs for grip, titanium mounting plates for 2-bolt MTB cleats, CNC'd alloy BOA dials and strong, tear-resistant Dyneema fabric with a tough toe bumper. The best of both worlds - road stiffness and off-road capability? We'll be testing them, of course, but these have got us excited! Gravel/Adventure is where it's at, so the launch of these new shoes is perfectly timed. We've been tending to ride XC mountain bike shoes for our gravel adventuring - the two-bolt MTB cleats are the only realistic choice for muddy conditions, and of course MTB shoes have that extra grip, both thanks to more aggressive soles and the recessed cleats. But even traditional XC shoes have a good deal more flex than a typical road shoe. Not the Recon! 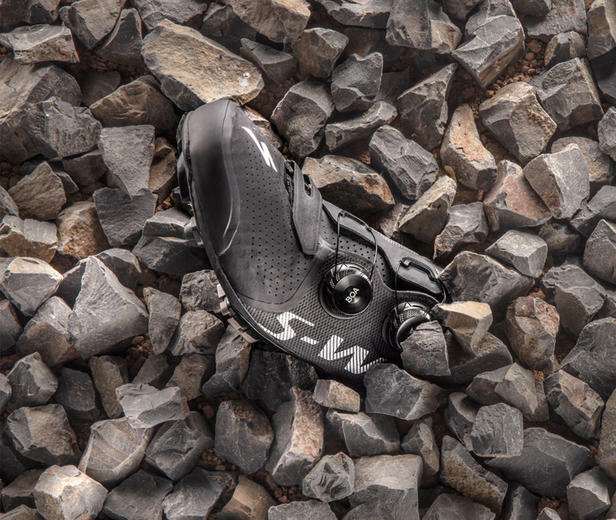 Specialized have used their stiffest carbon sole unit (their stiffness rating of 13) to ensure that these shoes are power efficient during road sections and when putting the hammer down on gravel. 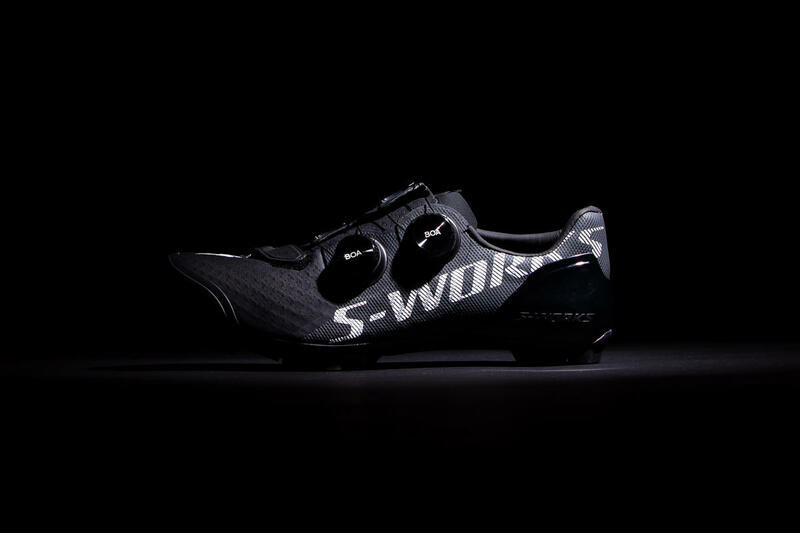 With an incredibly light and strong Dyneema upper these are essentially the superb S-Works Road shoes (with the same exceptional comfort) further toughened for XC, cyclocross and gravel riding. Unsurprisingly S3 BOA dials make a welcome appearance, for easy and precise on-the-fly adjustment, and they're a unique design to Specialized featuring a CNC'd alloy outer for maximum durability. The sole unit is lugged for grip off-road, with the option to add a pair of front studs for muddy conditions, and the cleat mounting plate is titanium - yes, these really are super light! (at around 270g per shoe in a size 42). A tough toe bumper provides protection against flying stones, and the PadLock heel unit is designed to prevent lift. Overall there's every bit of attention to detail that you'd expect from a flagship S-Works product. And of course Specialized being Specialized, they have used their Body Geometry expertise to ensure that the Recon's fit is as good as its looks. 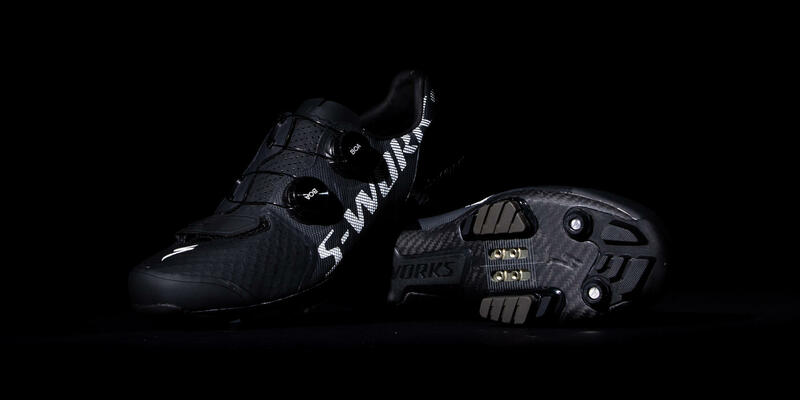 The S-Works Recon are available now, priced at £325. We also have them available in-store, but initial stocks are going to be limited, and we're not likely to see more until the new year, so please check before making a special journey - Give us a call on 020 7796 1263 or contact us via email.